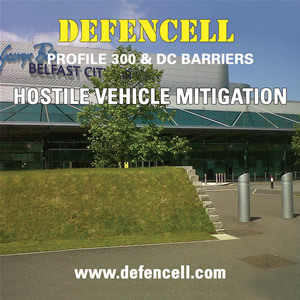 Heliports is a division of Federal Equipment Company of Cincinnati, Ohio [FEC]. Founded in 1982 FEC began as a small replacement parts supplier of material handling equipment used by the US Army and Navy, US Coastguard and shipyards throughout the world. The company has grown to become a complete engineering and manufacturing company, recently winning a number of multi-million dollar contracts with Northrop Grumman to build and install FEC-designed weapons elevators for the next generation of aircraft carriers for the US Navy. FEC Heliports Worldwide Limited is a company registered in England and is FEC Heliports international marketing partner, formed in 2007 to market FEC Heliports products and services internationally. Since 2007 the companies have successfully completed the design and construction of several major trauma centre hospital rooftop helipads in Europe, and hospital and commercial rooftop helipads in the United Arab Emirates. The companies also jointly undertake the design and construction of offshore oil and gas installation helideck projects for international clients in Europe the Middle and Far East and Australasia. · HEMS-Star® system extends operating hours. 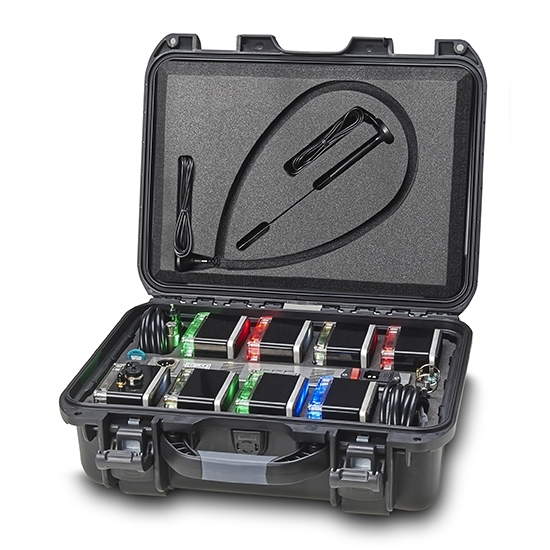 · Portable and lightweight – a full case weighs only 10.6 Kg. · Versatile - Red, blue, green, white visible LEDs and infrared to support pilots wearing Night Vision Goggles (NVGs). 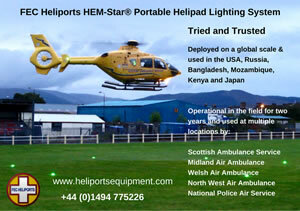 · HEMS-Star® is rechargeable in its case via mains at 100-240V AC, vehicles at 13.5-28VDC, solar or wind power. 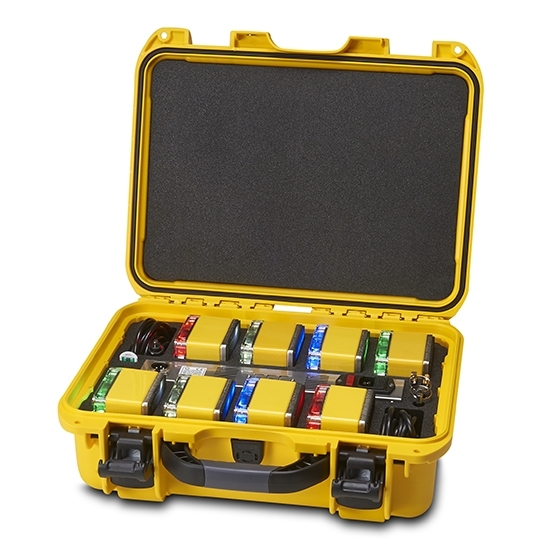 Mains PSU is capable of charging 8 lights from fully exhausted to fully charged in 3.5 hours. · HEMS-Star® is IP65 rated and fitted with rubber soled stainless steel base for stability. Successfully tested at the Sikorsky Development Flight Center in Florida for stability under the full rotor wash of a Chinook. · HEMS-Star® achieved FCC certification for operation in the USA and CE certification for the European Union. 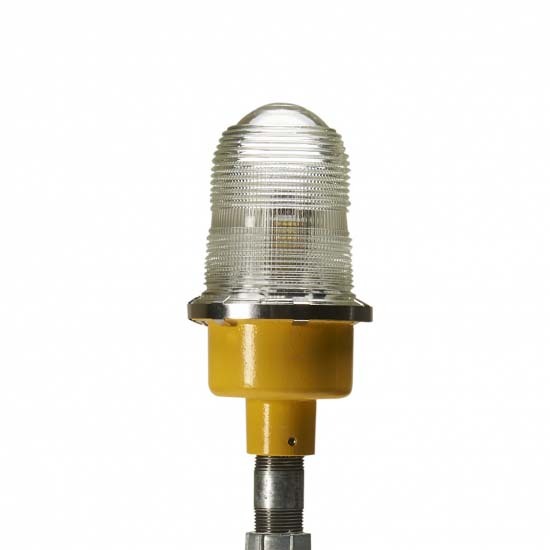 The effective operator or pilot control of Helipad Lighting is critical to the safe operation of an installation. 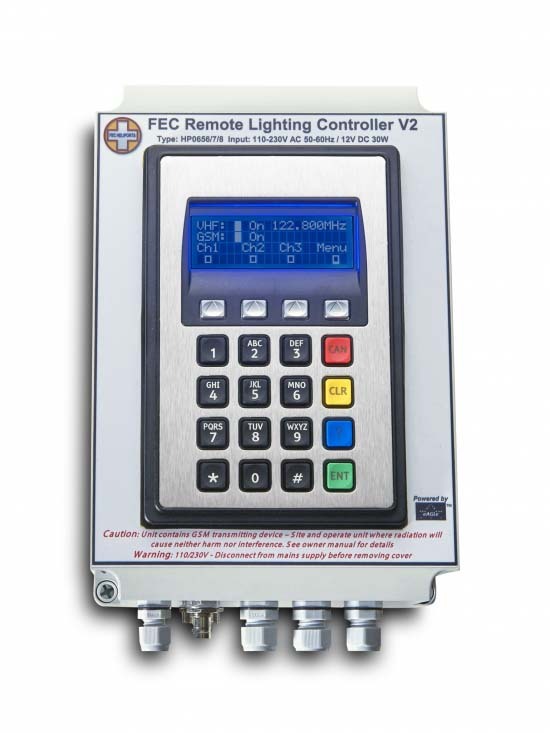 Radio Pilot Controlled Lighting solutions enabled via VHF have a long track record of proven success and reliability with VHF as the technology of choice.